Education Opens Doors was founded with the belief that all students deserve the opportunity to pursue their limitless potential. They have the right to understand the value of an education and how to access and attain all options available to them after high school. During her second year as a teacher, Education Opens Doors’ Founding Executive Director Jayda Batchelder met with several of her former students, expecting to hear stories of their success after leaving her middle school classroom. Instead, she learned that content mastery alone had not prepared them to succeed. 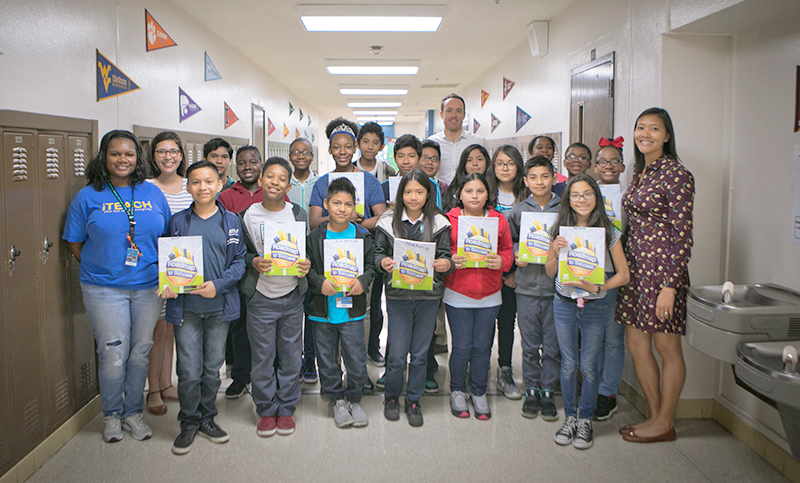 A team of Teach for America teachers led by Batchelder collaborated to write the first Roadmap to Success student manual filled with critical college knowledge and then brought those lessons into their classrooms. After two years of utilizing the manual in her own classroom, Batchelder quit her job to found Education Opens Doors with the goal of scaling the program across Dallas. Since 2012, Education Opens Doors has grown from impacting one classroom to hundreds, partnering with principals and teachers across multiple schools, districts and cities. We continue to strengthen our existing partnerships and have expanded beyond Dallas to reach students in cities including Austin, Houston, San Antonio and New Orleans. Learn more by watching Jayda’s audience award winning pitch at the United Way of Metropolitan Dallas’s 2018 edition of One Up the Pitch here. We amplify our impact by pursuing mission-aligned outcomes in a sustainable manner. We aim to disrupt systems of oppression by prioritizing the needs and insight of the people we work with. We include the perspectives of people of color, women, people who identify as LGBTQ+ and immigrant communities in the work that we do. We invest in the learning and leadership opportunities of our team members and partners in order to develop change makers in the communities we support. We practice authentic respect among our team members and partners and are deeply invested in the well-being of the people we impact. We pursue transformative solutions by cultivating an entrepreneurial spirit and pursuing improvement in order to create a positive change in the communities we support. Our primary focus is to open more doors for middle school students from communities of color, low-income communities and future first generation college students. We effectively are redefining the status quo around college access by legitimizing and increasing exposure to college knowledge for all middle school students during the academic school day. Education Opens Doors plays an integral role in arming students with the knowledge and skills that are necessary to successfully navigate the complex and costly college-going process, so they are ultimately able to attain a postsecondary degree and secure a meaningful career. As a result of our program, students demonstrate increased motivation, pathway and agency toward their goals and dreams. Learn more about our model by watching our pitch at the Stand Together Closing Summit here.